LET THE CARVING BEGIN: THE 2014 WATERMELON CARVING CONTEST IS HERE! - What About Watermelon? You are here: Home / Watermelon Carving / LET THE CARVING BEGIN: THE 2014 WATERMELON CARVING CONTEST IS HERE! It’s that time of the year. Time to sharpen your knives, break out the big cutting board, and slice up some watermelon. No, I’m not talking about cutting up some watermelon for a picnic (although you should do that, too) — I’m talking about the Fifth Annual Watermelon Carving Contest. It’ll be pretty similar to last year’s contest, which means lots of great prizes and fun categories. 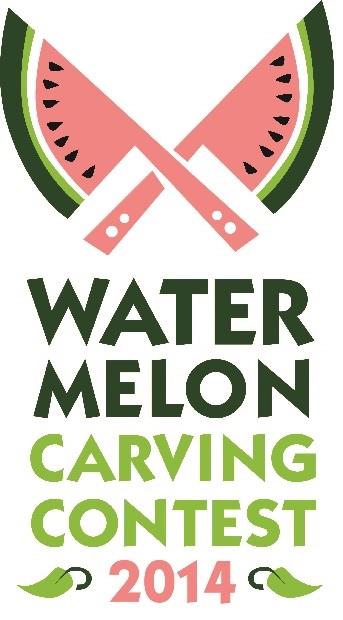 And just like last year, the first 25 entrants will AUTOMATICALLY receive a Dexas watermelon cutting board as a bonus participation prize, so get your carvings in to claim your cutting board! All you need to do is email a picture of your carving AND a picture of you with your carving (the picture of you with the carving is important) to us before August 4. Check out the carving contest page for more details and instructions. 1. Most Elegant – Culinary professionals and highly skilled food artists can knock our socks off. Show us how the experts do it. 2. Best Fruit Basket Carving – A watermelon really can look like two bowls glued together at the rim. Cut it in half, hollow it out and add some flair, and you’ve got a fruit basket! 3. Funniest Carving – We’ve all seen hilarious takes on food, so show us your humor! Comical staging counts, so make us LOL! 4. Best Animal – People love watermelon. Animals love watermelon. People love animals. Show us your best animal made from a watermelon! Each category will feature a 1st, 2nd, and 3rd place prize. Prizes in each category include: $150 Amazon.com gift card for 1st place, $100 Amazon.com gift card for 2nd place, and $50 Amazon.com gift card for 3rd place. When all the winners have been chosen, we’ll post them here on the blog in August and let the fans choose the “People’s Choice” winner, which will receive a $500 Amazon.com gift card! There you have it. Start thinking about which carving(s) you’ll make, and send in those pictures soon! For complete contest rules, check out the carving contest Web page. And, if you have any questions before the August 4 deadline, feel free to leave a comment on the blog or email me. Good luck!